How insanely cool is this? 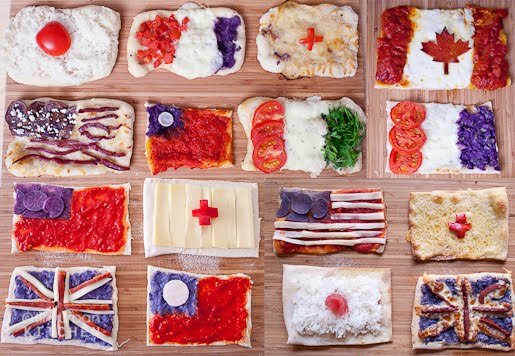 Jen over at Tiny Urban Kitchen decided to make pizzas to reflect on her world wide travels by creating pizza flags for each country she has visited. See her post here it is rad. Talk about patience and time. I love to cook but I don't think I could ever make something that perfect. So awesome! that is so cool! amazing! So cute, and such a fun party theme idea! So creative! There's never an end to the things one can do. Today we see that there are many travel agency's offering Cheapest Flights to various destination around the world. Holidaymood is online travel agency offers worldwide cheapest flights & tour packages.